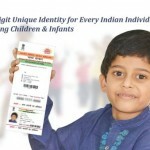 PAN Card is an essential document for Indian citizens. However, often you might find some inaccurate details added to it. Probably, you misspelled your name or address, you might have changed your name, etc. In such scenario, it is essential to change the details on the PAN Card or get it corrected. It is pretty easy than it sounds. You can download PAN Card Correction Form from UTI and NSDL portals and fill it up to make necessary changes in your PAN Card. Since it directly affects your income tax refund, it is therefore necessary to get it corrected sooner than later. Get changes and corrections done in your existing PAN Card. First you need to get the correction form for PAN Card. You can apply for changes in your existing card by submitting the form with the necessary documents. Submit the application form to make online corrections. You will find the complete process of downloading this form from the authorized sites. To make your complete application process easy, we have also listed some short guidelines. You may also refer to our post on duplicate PAN Card. Income Tax department has authorized some leading financial entities to carry out applications, issue and corrections of PAN Cards in India. Download it from the official sites of UTI and NSDL. Just follow our below instructions and access the appropriate page from here. Similarly, applicants can also download PAN Card Correction Form from the portal of e-Mudhra. When to Get PAN Card Correction? Get your PAN Card corrected for various mistakes like given below. Never ignore these mistakes in your PAN Card. You can also download PAN Card Application Form online, if you are applying for the first time. We recommend applicants to carefully mention the correction/s in their PAN Card Correction Form while applying. In case, if you have applied for the changes, then it is essential to track the PAN Card status. We recommend you to check the NSDL PAN status as well as the UTI PAN Card status from the given sources. Learn how to download PAN Card Correction Form online by following the given guidelines. Use the following step-wise procedure and the given links to apply for corrections or changes accordingly. Click here for NSDL portal. You can start filling up the form after following the guidelines given. You will see a button at the bottom of the page. Select your option of individual or firm as applicable and fill up the form. Make sure that you provide your PAN Card number and the change or correction you need. You can also track the status of your application. Alternatively, you can also get the PAN Card Correction Form from the UTI portal. The home page will show a menu bar. Move your cursor over the Downloads Menu item. The drop-down menu will show many options. Click on the option showing ‘Change Request Application – CSF Form’. You will get the form for PAN Card correction in pdf format. You can save or print this form by clicking the relevant options shown at the top-right corner. You can submit your online PAN Card Correction Form at any nodal authorized by the Income Tax Department for PAN Card issue. Follow the links of Apply for PAN Card Data Change or Correction in PAN Card to fill up the forms online and submit them. Filling up the forms are easy due to instructions which are given along. The fees for correction can be paid either online or by sending a DD along with the relevant documents. Applicant will be submitting the acknowledgement receipt. Proof of identity, residential address and birth dates are also to accompany the receipt and Payment DD. Also superscript your envelope as Application for PAN Change request – N – 15 digit Acknowledgement number. Permanent Account Number is almost an essential document today for citizens. Hence be careful about your details it carries. We recommend our readers to check their PAN Card details as soon as they get their PAN Cards. In case of any errors including misspellings, apply to request for the changes. Our site has also been updated on how to submit PAN Card Correction Form online. Do share this useful post with your friends and family members for their use and knowledge. Keep visiting for latest updates on important documents like Aadhar card and other documents. It is also recommended that you get your passport as well. Learn how to apply for passport online easily. Status	YOUR PAN [ CCOPR5207G ] CARD RETURNED UNDELIVERED PL CONTACT MUMBAI REGIONAL OFFICE. I’m trying to verify my pan card on the IT site. although the name, date of birth, father’s name are correct on the pan card, the site shows a screen saying ‘there are multiple entries for this car. please call….’. calling the helpline serves no purpose. they say if you are not filing returns it wont show. but thats not correct.what should I do. I have submitted the online application for PAN card. After submission of the application I was realize that there was as mistake in Middle name. I have already submitted the application and supporting documents. Now how can I correct the middle name in application?